Enjoy an exciting elephant safari in the early morning and meet the Indian rhino “Up, Close and Personal.” Jaldapara Wildlife Sanctuary is one of India’s best forests renowned for its growing population of Indian One-Horned Rhinos. 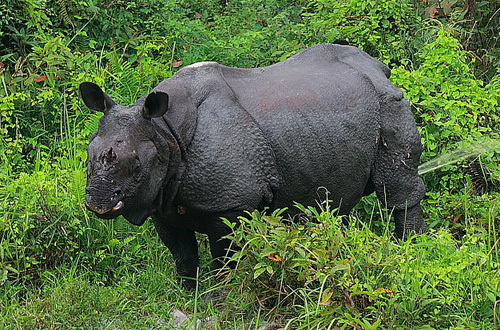 This 216 square kilometers forest of grasslands, woods, sandy river banks, flowing streams and lines of tall trees was founded in 1941 to protect the Indian One-Horned Rhino. 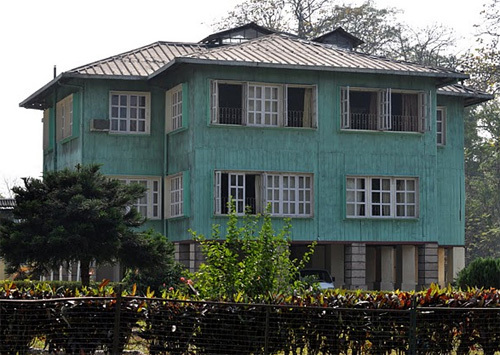 The sanctuary is located in Jalpaiguri district, in the Alipurduar sub-division. The Torsa River flows through this forest. Apart from Rhinos and elephants, Jaldapara is also famous for the healthy population of birds it supports like Bengal Florican, paradise flycatcher, hornbill and racket-tailed Drongo here. Places to see in Jaldapara: Apart from the animals and birds, the forest is also home to some of the oldest tribes of India. Totopara – the village of the Toto tribe is one of the primary attractions that you should not miss out during your trip to Jaldapara. Totopara is a tiny village on a small hill and is the home of the primitive Toto tribe. 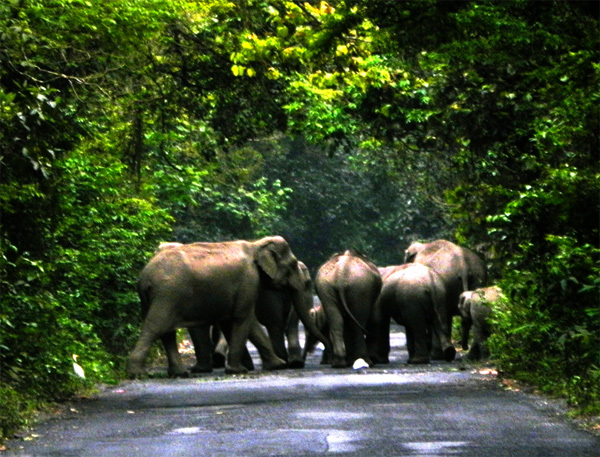 It is located some 22 km from Madarihat (the entry check post of Jaldapara Wildlife Sanctuary). The tea gardens of Duncan and Jayashree also surround a major portion of the sanctuary. Nearby attractions of Jaldapara: The Buxa Tiger Reserve located nearby is an important effort to save the Royal Bengal Tiger. 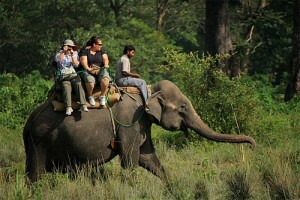 This tiger reserve is also the ideal place to catch a glimpse of nearly 150 species of plants. Jayanti is another destination located at a distance of 75 km from Madarihat, on the banks of Jayanti River. It offers mesmerizing views of sunsets. Nearby Bhutan Ghat, which is a border town of India and Bhutan is located some 85 km from Madarihat. Some other places located nearby include Gorumara National Park and Chilapata Forest, where you can find the remnants of the fort of Nal King. Another popular attraction is the Khayerbari Leopard Rescue Centre located at Madarihat. A round-trip from Madarihaat covering Jamtala, Lankapara, Hanstapur, Dhumchi, Ghumtu and Birpara would take you through numerous rivers, jungles, hills and all types of flora and fauna. If you are fond of history and culture, then you can visit the nearby town of Cooch Behar for its splendid palaces and temples. 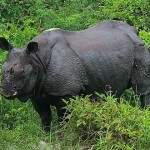 Things to do in Jaldapara: Jaldapara WLS is famous for its One-horned Rhinos. You can take an Elephant safari or a jeep safari to view these magnificent animals in the wild. Jaldapara is also home to more than 240 species of birds including Cuckoos, Parakeets, Green Pigeons, Drongos, Barbets and others. So when you are not tracking Rhinos, it would be an ideal place for bird watching. 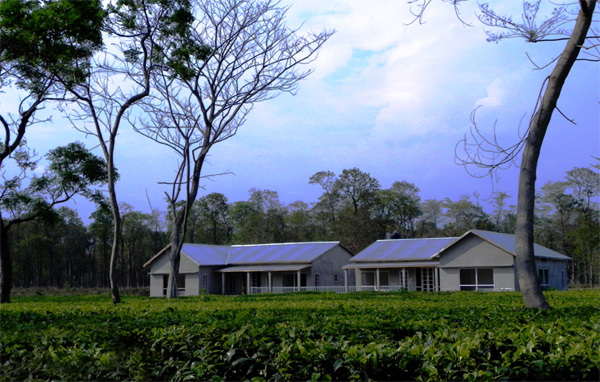 There are numerous tea estates around Jaldapara where you can try your hand on tea plucking or visit the tea factory. Taking long nature walks along the tea gardens or forests and a visit to the tribal villages can also be on your cards. In the evenings, you can enjoy tribal dance or a nice campfire with family and friends. How to reach Jaldapara: If you are traveling by air, then Bagdogra airport is the nearest, from where you can reach Jaldapara via Siliguri. Madarihat, the entry checkpost of Jaldapara is 140 km from Siliguri and 50 km west of Alipurduar, located on the NH 31 connecting Siliguri to Hasimara. The nearest railhead is Hansimara, which is only 7 km from the sanctuary. You can also visit Jaldapara from Siliguri or New Jalpaiguri. Best time to visit Jaldapara: Jaldapara WLS stays closed during the monsoons (15th June to 15th September) every year. Lodging and dining facilities at Jaldapara: Our resort in Jaldapara is located at Madarihat just 10 mins from the Entry gate of Jaldapara Sanctuary. 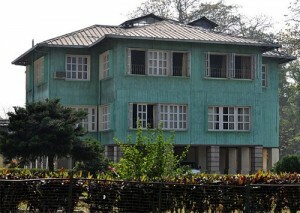 The resort is surrounded by tea estates on both sides and the Khayerbari Forest on the other side. It is the most beautifully located resort in this region with all modern facilities like attached Western Bathrooms, comfy spacious beds, hot water geysers and transport assistance. The resort is located on 4.33 acres of lush lawns and forests. All rooms of the resort faces the tea gardens or the forests. There are Double Bedrooms and Four-Bedded Family rooms in the resort.Food is excellent in the resort, which mainly comprises ethnic Bengali cuisine. Another popular accommodation in Jaldapara is the famous Hollong Forest Bungalow, located within the forest core area overlooking the salt lick where you can catch a glimpse of rhinos, elephants, bisons, deer and whole lot of animals visiting throughout the day and night from your window. We can arrange booking for Holong bungalow but most of the times it remains overbooked.